Thank you INTEGRITY HORSE FEEDS for your support! Thank you Smooth Run Equine for your support!! When I ask my horses for their ultimate effort, I want to make sure I have given them the ultimate supplement. 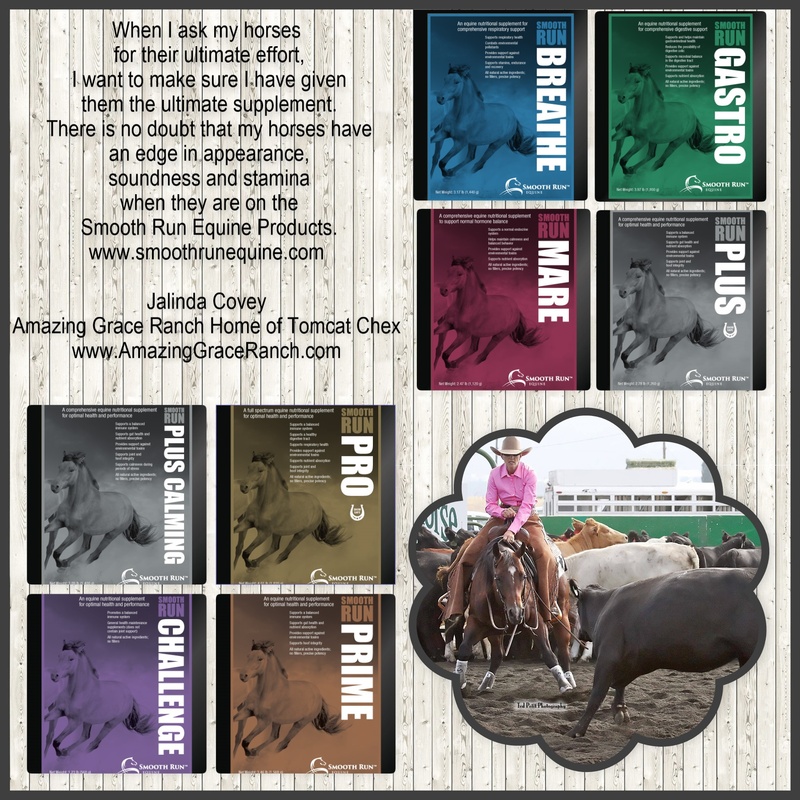 There is no doubt that my horses have an edge in appearance, soundness and stamina when they are on the Smooth Run Equine Products. 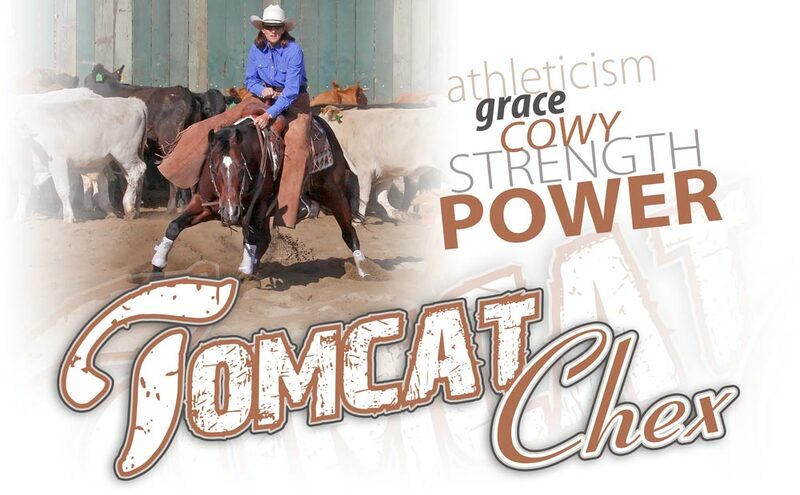 Smooth Run Equine is a proud sponsors of Amazing Grace Ranch and Tomcat Chex! 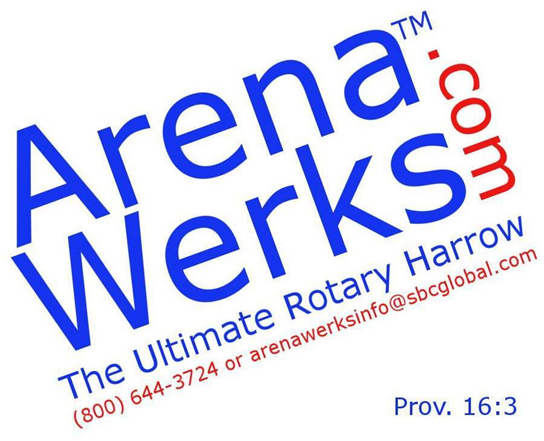 Thank you Arena Werks for your support! !